I finally got my Ipsy bag for August, and I was SUPER thrilled with what I received! After the last two disappointments that I’ve had with Birchbox, Ipsy has once again been such a breath of fresh air. Take a look at what I got below! 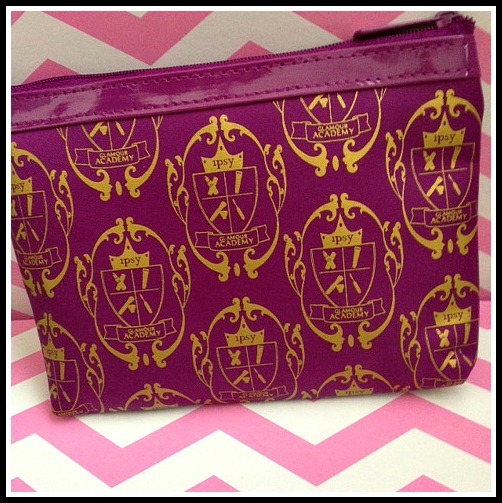 Ipsy’s theme this month was “Glamour Academy”, and it came in this little purple bag. This isn’t my favorite bag— it reminds me of Harry Potter for some reason haha. 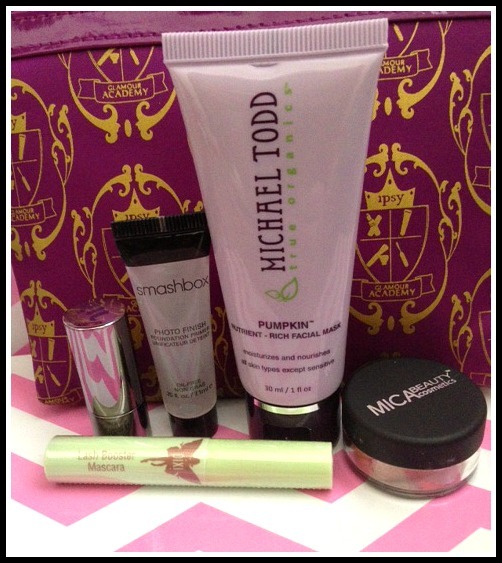 It’s supposed to be a back-to-school theme with essentials for looking fab on your first day! The first thing I noticed when I opened my bag was a sample size of the Urban Decay Revolution lipstick in “69”. It’s a super fun, bright, reddish-pink. I’m going to be honest, it took me about 10 minutes to figure out the name of the color. I had a moment, and I thought “69” was just the number, then it finally clicked. Oops! Next, I had a sample size of the Smashbox Photo Finish primer. I actually have the light version of this, and I really, really like it, so I’m excited to try this one! The sample is a good size! Definitely big enough for me to use for awhile to determine whether or not it works for my sensitive skin. I also received the Michael Todd Pumpkin Facial Mask. I love anything pumpkin, not to mention I am going through a major facial mask experimentation phase. Can’t wait to try this and report back! I am pretty sure this is a full size item. Next, I got the Mica Beauty Cosmetics eyeshadow in “Bronze”. It’s a beautiful metallic color, and I know it’s going to make my blue eyes POP! Lastly, I got the Pixi Lash Booster. I’ve never tried Pixi before so this will be fun to try. A girl can never have too many mascaras. 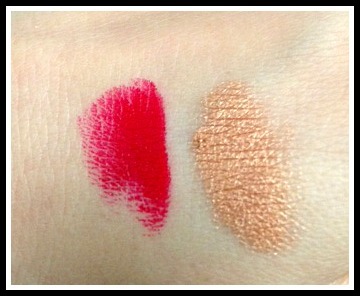 Above are some swatch of the Urban Decay lipstick, and the Mica Beauty eyeshadow. This entry was posted in Beauty, Birchbox, cosmetics, Ipsy, Makeup, Reviews, Smashbox, Subscription Boxes, Uncategorized, Urban Decay and tagged beauty, birchbox, cosmetics, ipsy, makeup, mica, michael todd, monthly, pixi, smashbox, subscription boxes, urban decay. Bookmark the permalink.